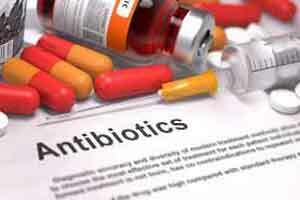 Women who use antibiotics for long periods in late adulthood have a higher risk of death from heart disease and in general, according to preliminary research presented at the American Heart Association’s Epidemiology and Prevention | Lifestyle and Cardiometabolic Health Scientific Sessions 2018. In a collaborative research study between Tulane University School of Public Health and Tropical Medicine and Harvard T.H. Chan School of Public Health, Qi and colleagues studied 37,510 women, aged 60 years and older, who reported their antibiotic use and were free of heart disease and cancer at the study’s start. They classified the women based on how long they had used antibiotics: not at all, less than 15 days, 15 days to less than two months or two or more months. Then, the researchers followed the study population from 2004 until June 2012. Women who took antibiotics for two months or longer in late adulthood were 27 percent more likely to die from all causes during the study period than women who did not take antibiotics. Taking antibiotics two or more months was associated with a 58 percent higher risk of cardiovascular death, compared to no antibiotic use. These associations existed regardless of traditional risk factors for death, including lifestyle factors, dietary habits, obesity, medication use and more. The association between long-term antibiotic use in late adulthood and increased risk of death from all causes was more evident among women who reported also using antibiotics in middle adulthood, from ages 40 to 59 years, than women who didn’t use antibiotics in middle adulthood. There was no notable association between antibiotic use and death from cancer. While previous studies have found antibiotic use is associated with long-lasting changes to microorganisms that live in the human gut, known as gut microbiota, researchers had yet to examine relatively healthy populations of people to determine how duration of antibiotic use at different times during adulthood might be related to all-cause and cause-specific risk of death, according to study author Lu Qi, M.D., Ph.D., professor of epidemiology at Tulane University in New Orleans.